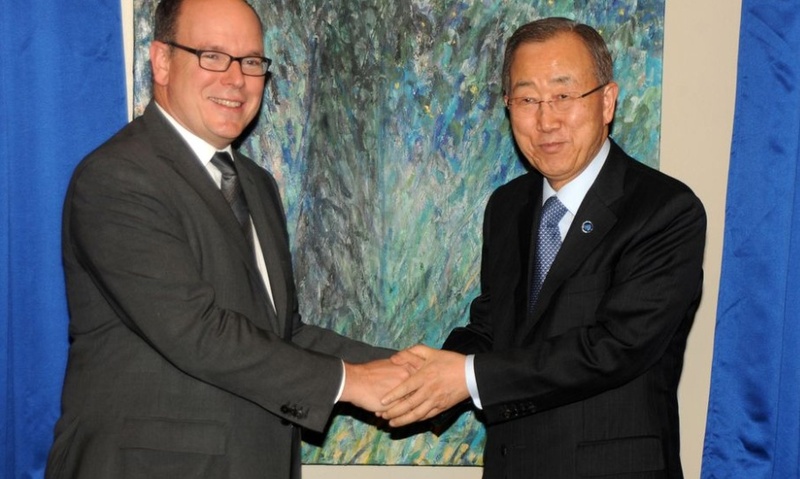 (VIDEO) HSH Prince Albert II of Monaco Meets with the United Nations Secretary-General. On December 14, 2015, His Serene Highness Prince Albert II of Monaco met with the United Nations Secretary-General, Mr. Ban Ki-moon, at the United Nations Headquarters in New York City, New York. During Monday’s visit the sovereign prince presented Mr. ki-moon with a painting as a gift from the Principality of Monaco to the United Nations. The beautiful oil on canvas painting was created by Monégasque artist, Mr. Claude Rosticher. 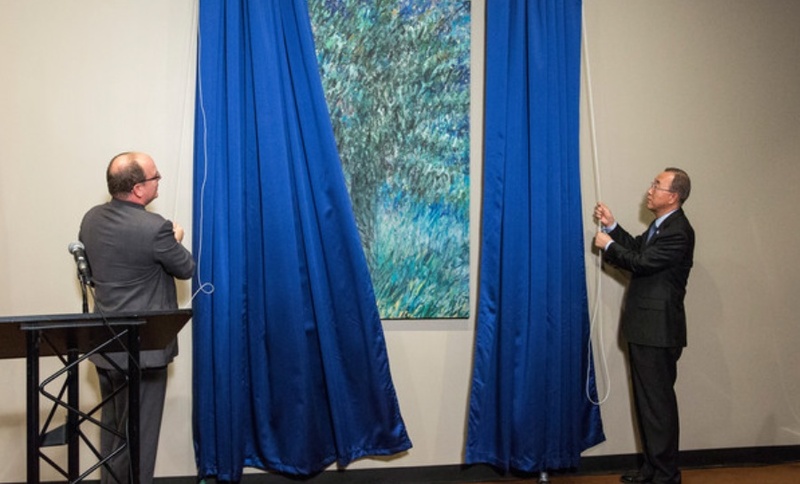 The painting will be on display in the Conference Building at the United Nations headquarters. Previous (VIDEOS) HRH The Princess Royal Opens the New Sid Watkins Building in Liverpool. Next Members of the Belgian Royal Family Enjoy a Christmas Concert.